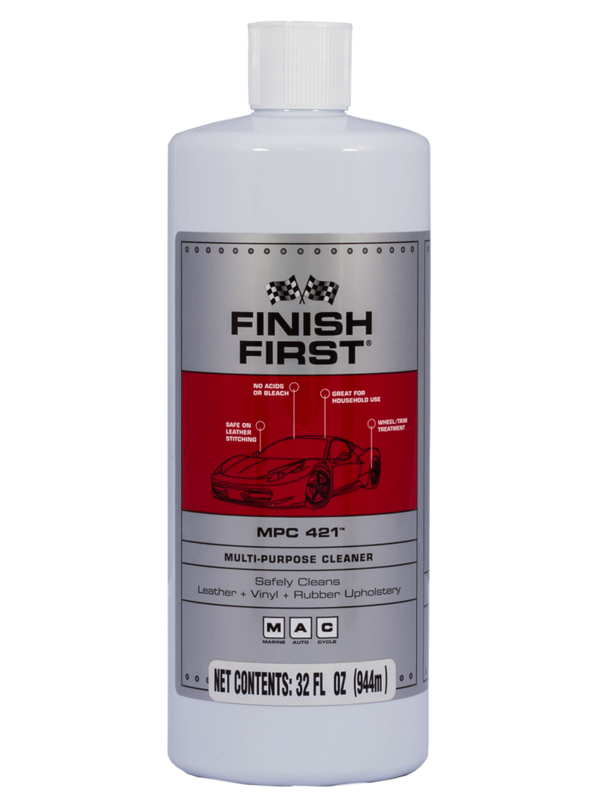 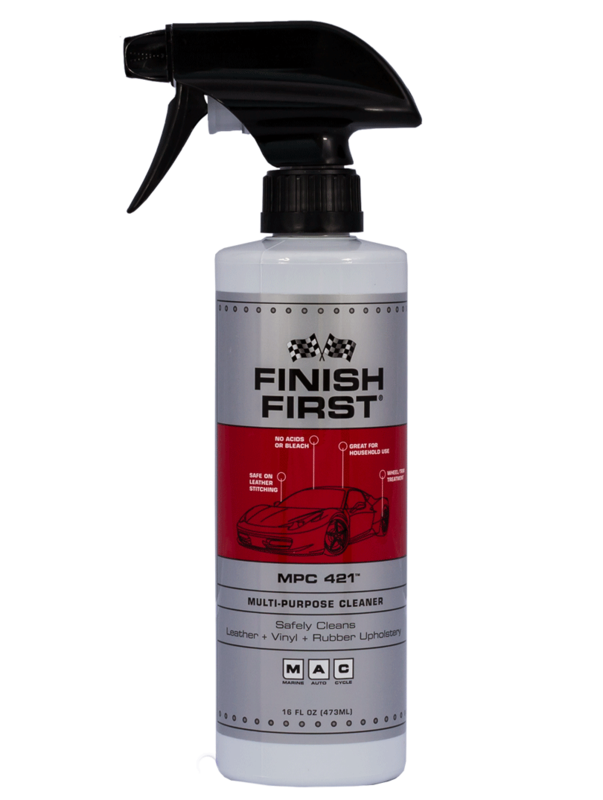 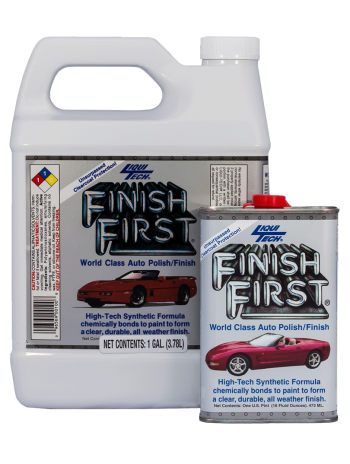 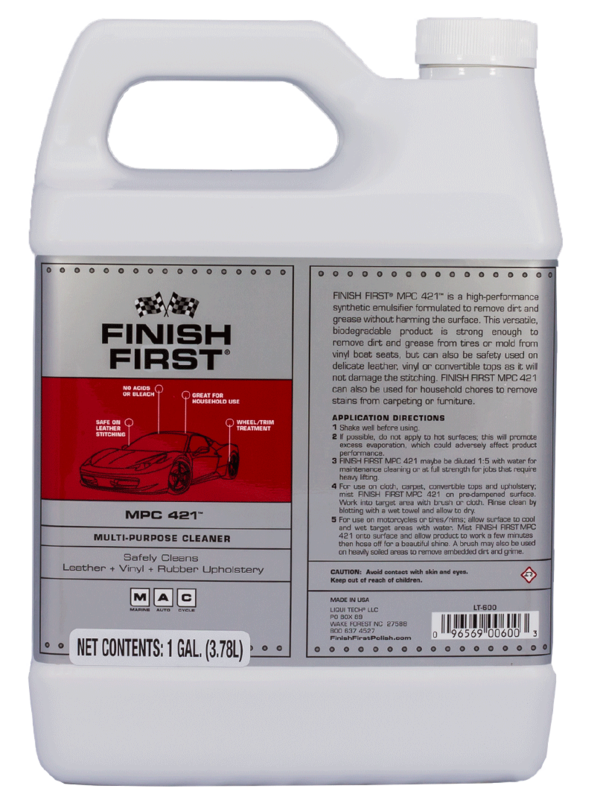 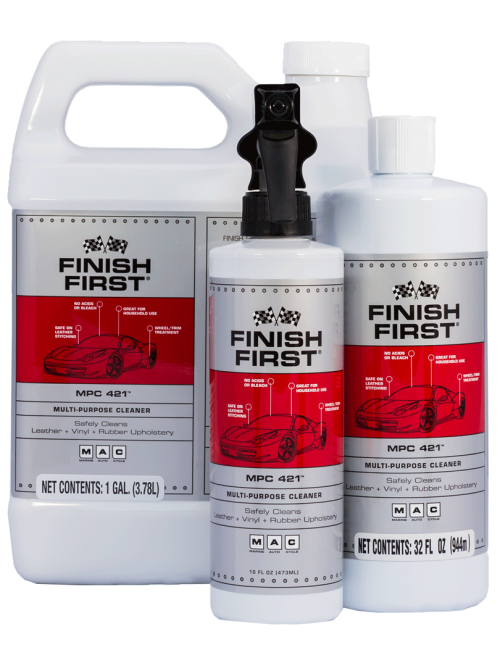 Finish First MPC 421™ is a high-performance synthetic emulsifier formulated to remove dirt and grease without harming the surface. 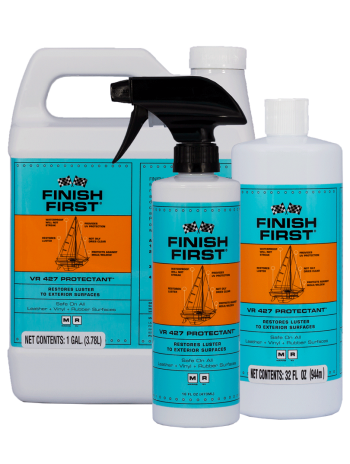 This versatile, biodegradable product is strong enough to remove dirt and grease from tires or mold from vinyl boat seats, but can also be safely used on delicate leather, vinyl or convertible tops as it will not damage the stitching. Finish First MPC 421 can also be used for household chores to remove stains from carpeting or furniture. 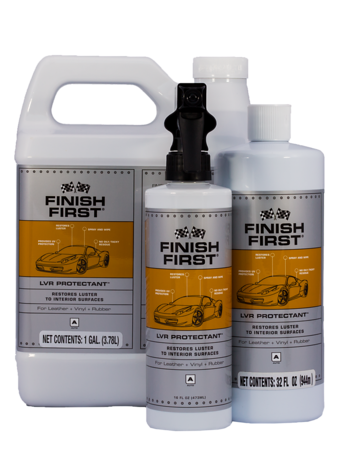 For suggestions on how to use this product see our Auto Detailing page.